MY BACKGROUND A little about me first, so that my logic and car evolution makes sense. I have lived all around the US and in Europe but I have grown up in the San Francisco Bay Area. I am 22 years old and I am software developer. I love technology and I have grown up with wonderful California weather. My first car was a Volvo C70 ’04 convertible, and then I moved to a Mustang GT ’06 convertible in college. Considering I both went to school (UCSD) and lived in California, convertibles are amazing. While the idea of wind blowing through my hair is appealing, the engineer in me saw the benefits of the electric car. My parents got a Ford Focus Electric in 2013; I had a realization that these cars were here to stay and were going to be the future. Being a little young and naïve I went and got myself a 2014 Ford Focus Electric as my only car. I knew when I graduated at the end of 2014 I would be working in California with plenty of charging ports and I would make it work. I was going to be green! The pull of the quiet, smooth drive, the cheap “gas” and the minimal (almost nonexistent) maintenance schedule for the length of my lease were significant additional benefits. Additionally, I got to drive a brand new, expensive car, subsidized by the government down to an economical level. Fast-forward to having graduated and the restrictions of the all-electric lifestyle (with a car that had only a 75 mile range) as my ONLY car being a single bachelor became too much. So now I need to find a new car (and unload my lease which is a whole other story). My work offers free charging so I become interested in finding a plug-in hybrid. TL/DR: I love technology and convertibles, but the pull of the electric car got me around on having a roof. I got an all-electric, which being my only car was too hard, so I got rid of it. I am going to stay electric by getting a plug-in hybrid. THE HUNT Given the free charging that my work offers, and my long commute, I wanted to stay with an electric car. I had been spoiled by the drive of the all-electric, and in California you save time by getting to use the HOV lane as a single-occupant. I compiled a list of cars that can take advantage of my free charging, get a HOV lane sticker, and qualify for rebates. I will briefly go through my thoughts and test drives. I do a lot of research, especially when it is a purchase this big. Prius plug in – clearly a compliance car, not really able to drive over 40mph on electricity alone and have to baby it to get its measly 11 miles (estimated; not anywhere near actual) of electric range. It also drove very loosely; I felt like I was driving a lunch box. Accord plug in – a good solid car, but it seemed expensive compared to the competition, especially for how cheap the car felt. To me, it was a basic boring sedan, a modest improvement up from the Prius. Ford Fusion plug in – great car and probably my favorite. Lots of bells and whistles, it can basically drive itself on the highway. I am concerned about the dual drive train and not having all the trunk room. Ford Cmax plug in – while it was better than the Prius, it was an econobox and not nearly as stylish. Would pick the Fusion with the same electric range. BMW i3 Rex – a really futuristic car, and very out there. Styling is like it or hate it, and I was OK with it in a conservative color scheme. Drove really well, since it is basically an all electric. It got really expensive when I wanted the self driving options and big screen (I love gadgets) and its engine is really built as an extender, not a dependable mode of transport, you would not road trip 2 gallons of gas at a time. Chevy Volt – I liked it a lot, but it felt like a 35-year-old dad kind of a car. It made sense, lots of good eco design decisions and room for the kids. No passion, but on paper the best car, especially where the drivetrain was concerned. A couple things I found out is that while you are in all-electric territory here in the US, the $7500 rebate applies to everyone, when you go into plug-in territory it changes based on the battery size (IE range). So the Volt got the full $7500, the Fusion a respectable $4400 and the Prius a paltry $2500. Also, not all cars that are eligible for rebates are eligible for a sticker. For example the Porsche plug-in family get government rebates but cannot get California HOV stickers. When I learned the Volt had a bigger, luxury Cadillac sibling, I had to go check it out. I did more research and learned GM was quietly running some great rebates on the ELR. 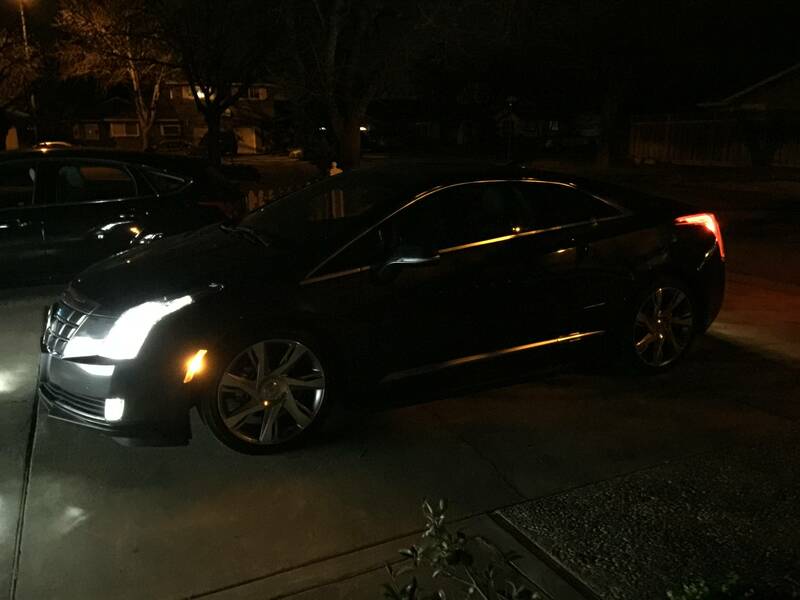 Costing only a little more than a tricked out Volt, and being childless for the foreseeable future, I went with the ELR. It had the longest range of the current plug-ins and it is a great car. ELR EXPERIENCE I was considering doing a review after I got the car, but I am doing it now having lived with it for a year and 25,000 miles. I primarily use the car for commuting and I take a few road trips. This being my only car, I have put it through its paces. First and foremost I have to say this is a luxury car. I knew this going in, and I have loved all of my time with the car. For frame of reference, I purchased every package except for the Kona seats, because I thought it threw off the interior. Everything in the car shows attention to detail, and it also shows over 100 years of automotive innovation. The hidden door handles in the massive coupe doors make you feel like you are getting into a science project and modern art piece at the same time. When you sit down in the supple seats and close the door, the CUE system welcomes you with a sci-fi like boot sequence. You notice the feel and design of the steering wheel, the large screens, and the arcing materials. You are cocooned in a tastefully laid out selection of suede, leather, carbon fiber, and wood. There is not a single dial in the car, and when off, just feels modern (more about the CUE later). The traditional design is kept when you look at the shifter knob, it is familiar and it comfortable in hand, not that you will be using it much in a 1-speed. One of the sayings I love: If you don’t look back at your car after you park it, you bought the wrong car. I bought a piece of automotive artwork, and like most art pieces, it is either liked or disliked strongly. It is edgy, sharp, contoured and very American. I am a proud American and even happier that I get to support American industry, and innovation. 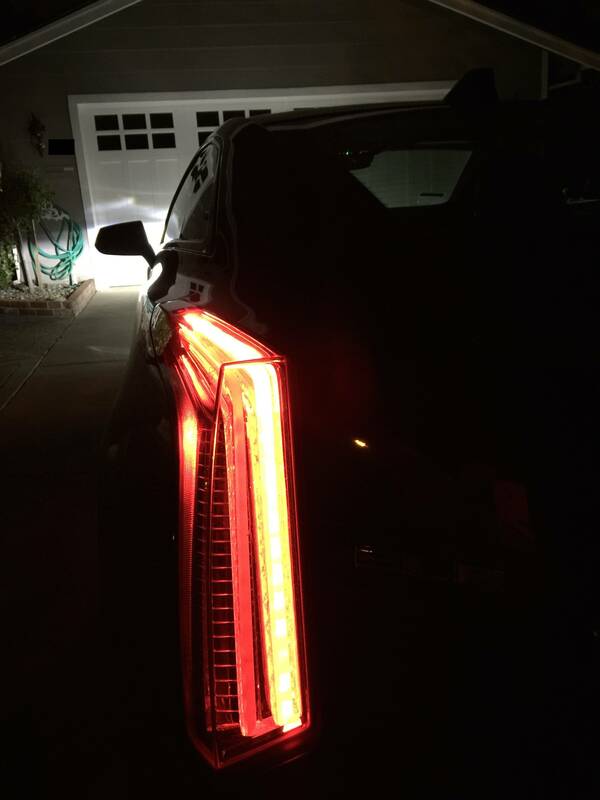 The tail lamps are a throwback to the 50s fins on the large Cadillacs, and the headlights are beautifully trimmed in LEDs. Much like the CTS-V coupe, it looks like a Batmobile. This is the only Cadillac car with 20” wheels and they are really sharp. I also love the really low roofline; despite the fact that I am 6’1” and have clearance in the car. It is odd GM had to install A-pillar supports and you have tiny triangular windows, but it helps make the sleek profile. One strike against the design: visibility is poor. In the rear view, there is plenty to see, but there are large blind spots. Luckily these are taken care of by the blind spot monitors. Speaking of the rear view mirror, this one is minimalist, sturdy and a surprising step up from other cars. The back seats cannot fit anyone taller than 5’6” but has enough legroom even behind me. The back seats are luxurious captains’ chairs in the same leather as the front seats, but because of the large, comfortable front seats and the low roofline, it can feel a bit claustrophobic in the back. They get their own cup-holder (not automatic) and a soft center armrest. It works in a pinch, and is nice if you are small enough, but I would not want to take a road trip there. You can fit a car seat in the back, but a coupe makes access difficult. TL;DR The car is overflowing with luxury, and the focus is on the front two passengers. The car is a piece of artwork inside and out. VOLTEC DRIVE TRAIN Commuting or driving in town is where this car excels. It is absolutely a dream, just like one would expect an electric car to perform. With the bump in the power from the larger motor as compared to the Volt, there is plenty of oomph to get off the line, and up to highway speed. The torque is instant and feels quicker than it is, as with any electric car. In all-electric mode it is predictable, quiet, and smooth. Compared to the other drivetrains, this was designed for luxury, there is no torque steer when you floor it, and the car is heavy so the ride is cushioned but not cushy. When the gas engine kicks in, you can hardly hear it. It is designed to deliver just-in-time power, and when on the highway it will quietly putter along. Driving in the city the Voltec operates like a Prius, using battery off the line and then gas to sustain later, and it is here that it breaks down. You come to a stoplight and hear the gas engine making up for the power you just used off the line, and the engine is very non-Cadillac. It is small, and does not sound throaty like or refined like you would expect out of a car with an 80k price tag. Since the ELR has noise canceling I almost never hear the engine, but this raw noise is pumped out to the people looking at the automotive artwork from the sidewalk, and it does not leave a good impression. The EPA estimates (37 electric, 340 total) are almost perfect. I will get 35 miles of electric range going 75mph on the highway for my commute of 45 miles each way. This has been consistent for winter and summer, although California doesn’t have those big of temperature swings like other states. I have gotten all the way to 46 miles out of the battery just driving around town. When I take a road trip, I get just about 300 miles per tank. I took a trip to Santa Barbara, which is almost exactly 340 miles, and left with both full. I made it in on fumes driving 70-75 the whole way. It was a quiet, and with the automatic cruise control, it was a really easy trip. I did stress test the system when I went down to San Diego in the summer. Highway 5 is a big, flat, boring corridor, where if you aren’t going 90 you are being passed angrily. Going down this stretch, I kicked the car into mountain mode to build some battery reserve for the big climb through the Grapevine getting into LA. It was 110 degrees on the road, I had the air conditioner on, and was driving 90mph. Not surprisingly running the air conditioner, going 90mph, and generating spare electricity all while keeping the 1.4L engine cool was a challenge. The building of electricity was slower than normal, but it did not complain nor throw warnings of overheating. SPORT MODE Sport mode has two very distinct feelings. The throttle response is increased, and it takes away the luxury feel of the Cadillac tip-in, instead giving you all the power. It makes the ELR feel quicker, but it is still only 8.8 seconds to 60 which in Honda Fit territory. The odd part is when you are out of electric juice, your engines will work in conjunction with the electric motor. It feels like a turbo lag but it does take a full second off the sprint to 60. Strangely when the engine kicks in, the steering feels a bit more unruly, like there is torque steer. You can force the engine to engage and help you out before you are out of electric juice by using hold or mountain mode, but then you miss out on the suspension improvements. The ride with the adaptive suspension is awesome. The steering is responsive, tight, precise, and while it certainly cannot shine a light to the track racing I have done in the past, it does enhance the car for a bit of fun. GADGETS This car is loaded with lots of toys, and as my pessimistic father it quick to point out: “it is just more things to break.” I happen to enjoy them, love them even, and here are the highlights. Adaptive cruise control is the best option I put on the car, especially for my mostly highway commuting. The car drives itself, even coming to a complete stop. If it does come to a complete stop, you burp the accelerator and then it resumes normal operation. The system tracks around corners really well and will handle lane changes, and people coming into my lane. The car will automatically brake for me up to what is maximum battery regeneration, with anything faster needing to be done by me. The manual says the car can see 370 feet in front of the vehicle. While some cars have ugly squares of plastic for this radar system, Cadillac cleverly hides theirs behind the plastic (instead of metal) crested badge on the nose. The only problem I have ever had was driving to Tahoe and snow covered the cone, disabling the feature. Regen on demand is fun, and enables me to drive with one foot a lot of the time. If you haven’t experienced it on the new 2016 Volt or some competitors like the BMW, it is basically a button that engages the heavy regenerative capability of the electric drive unit. Cadillac adds polish to it, having it not suddenly grab like a downshift, but gradually as if I used the brake pedal. This not only provides a fun way to drive once you understand how it performs, but helps me achieve maximum efficiency. Rain sense is an awesome feature. I love how accurate it is, regardless of drizzle, downpour, or snow it will activate at the right speed. The lane change alert is not very useful. I can tell when I am drifting over a lane, and more often than not is it annoying. I wish it would add some features to correct steering like the Ford Fusion, or the Tesla autopilot, but that may be asking too much. The new Volt adds correction, call lane change assist, not alert. Intelligent headlights are a wash for me, they came with the luxury package and I think they are just ok. It is smart enough to shut off when oncoming traffic is coming, or I am gaining on a car in front of me. I only wish the high beams had a slightly higher (more daylight) threshold to turn on. There is a part in the dusk where I want them to come on and they do not. I really like the rear cross traffic alert and the parking assist. When I am cornered between two Suburbans, I can confidently back out knowing my car will detect any coming traffic. This front and rear ultrasonic sensors displayed in the center cluster are also helpful. The electronic cup holder is fun. I like the styling of it, and while it certainly is unnecessary it all goes into the vibe of the electric car. Along with this, having a button and no handle for the glove compartment adds to the modern feel (although I have to close it manually). There was a hope the metal-based cup holders were heated or cooled, and it certainly looks like they could be, but sadly they are not. The hidden compartment under the CUE system is awesome, and fits my iPhone 6 Plus, plugged in, without a case. The integration with CUE is good enough I do not feel I need my phone out while driving, so having it out of my pocket, secure, charging, and playing high quality digital audio is great all while keeping the cabin uncluttered. The power start up sound is a nice touch. It gives the quiet car a simple way for the user to tell whether the car is on or not. I thought after a year of hearing it, I would get tired of it, but instead it gives me just a little bit of a grin every time. The interior door handles always amuse me when others try to get out, and I really like not having a handle to pull; it is yet another way the car feels futuristic. The good news is there is an emergency pull by the base of the seat to get out in a power loss situation. CADILLAC USER EXPERIENCE Cadillac’s center console media system has been met with critical review: it is slow, not always consistent in design, and hard to use while moving. I can understand all of these complaints, and I will address them all in this section. I think CUE is an overall positive experience. For daily use, I think it is a great design and I really like the aesthetic of the system itself. The lack of buttons or knobs looks great when the system is on or off, and I like the feel of the capacitive section of the system. I think the proximity sensors that move the system to a minimalist view when you are no longer interacting with it is a very nice touch. When navigating some deeper screens, like address entry on the GPS, some buttons (back, submit, search, go, etc) are not always in the same spot between views, which causes me to hunt for them. Luckily I am not typically in these screens while driving so there is very little negative impact. There is a very polished energy flow view (much improved over Ford, Prius etc). The only part of the system that is significantly behind others in the space is the GPS, where the graphics and view are – nicely put – not easy on the eyes. Because there are no buttons, you typically have to look down at the system to interact with it. This means that as you are bouncing down the highway you can miss the screen or the capacitive buttons and end up doing something you don’t want to do. Combine that with a slow response time for some actions, and you can end up being frustrated with the system. Luckily most of what I want to do when I am driving can be done from the steering wheel. I experienced this frustration most in the complimentary rental cars I have driven. The ELR, however, has a unique advantage here: it has a slopped console where the gearshift provides a perfect arm anchor-point for me to accurately interact with CUE. As a passenger in my car I can also rest my arm on this large center console, and since I don’t have to look back at the road right away, pressing the wrong button is not as frustrating. The system is a bit slow, especially when interacting with GPS or other complex screens. Having worked with Tesla, Ford, Mercedes, BMW systems, I am very familiar with the automotive entertainment systems. Tesla is clearly the front-runner, but the rest of the automotive space leaves a lot to be desired. Cadillac has now announced that their infotainment systems will be disconnected from the rest of the automotive design flow, hopefully making them seem less dated on release. The Germans have all been copying each other (iDrive, Audi, Mercedes) and offer a great interface for media (radio, USB, XM). Ford mySync, designed to be like a tablet, has been wildly popular and has the best GPS view of any system. Also lacking compared to Ford is the built in voice control; CUE is so slow to be almost useless. It is accurate for making phone calls but forget about entering a destination. Luckily they provide a button to activate Siri or Google from the home screen; I just wish I could map this to the steering wheel button instead of CUE’s voice control. My favorite part of the system is the integration with my smartphone using OnStar. I can remotely start/stop/lock/unlock my car. This is incredibly helpful for maximizing the range of my car, since starting my car uses the power from the wall when plugged in to prep the cabin, drive system, and battery to the proper temperature for driving. This leaves the battery energy for driving. The killer feature though, that no other remote app I have seen has, is the ability to send a destination to the car. I look up where I am going on my smartphone anyway, but now I can send the driving directions to CUE. It is also nice to see when my car is done charging, or locate the car if I have lost it in a parking lot. The only problem I have found with the app, is the push notification settings seem to have stopped working; I am seeing other users complain about it as well. Hopefully it will be fixed in an update, and maybe they will add Apple Watch support like Ford and Tesla. Some underrated features of CUE are the universal favorites and the radio rewind. Universal favorites allows me to store GPS locations, phone numbers, XM, AM, FM and USB favorites to the same favorites bar. I can change the radio, set my destination to be home, and call my favorites all from the same screen. Customizing this is not straightforward, but once configured it is great. Radio rewind holds the last 30 minutes of live radio broadcast, so for example I can pause the radio and take a phone call and pick up right where I left off after the call. CUE even marks the media information changes so you can skip songs. 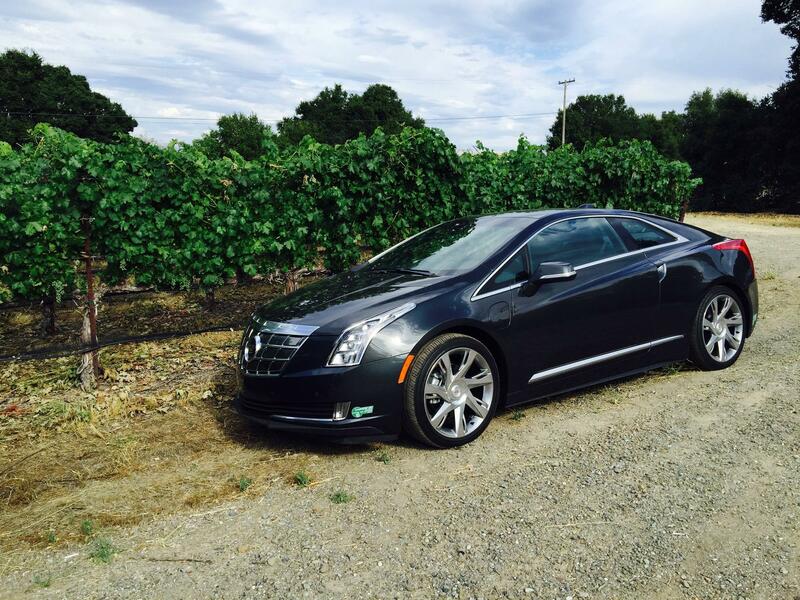 TL;DR CUE is much better than in other Cadillacs because of the interior cabin design of the ELR. There are still frustrations but the aesthetics are awesome. 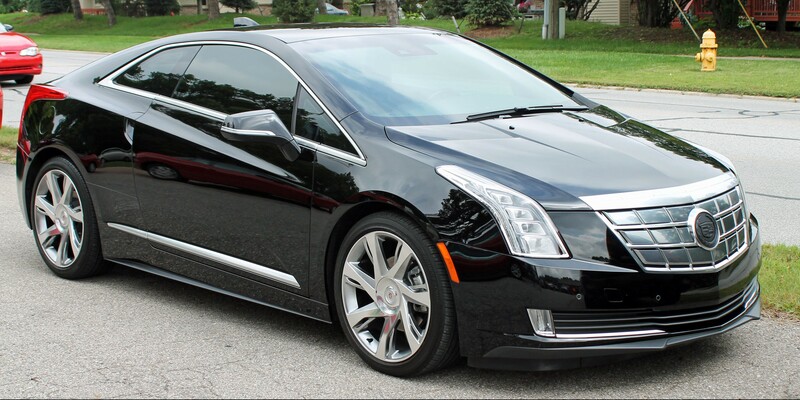 WHY NOT A TESLA I have set aside this section because most people would consider the Tesla Model S the ELR’s closest competitor unlike the cars above. In my consideration of cars, I test drove a used 2013 P85. This is before the dual drive motor came out with the major refresh. Autopilot was just announced and you had to buy it new on a 60, 85, or P85+. GM at the time was running a huge discount on the ELR, so the Tesla I could afford for the same price would have to be used (hopefully 85 or P85), or an entry-level 60. To get it the same level of features, especially with autopilot (which was just announced) the ELR would have the cost advantage. 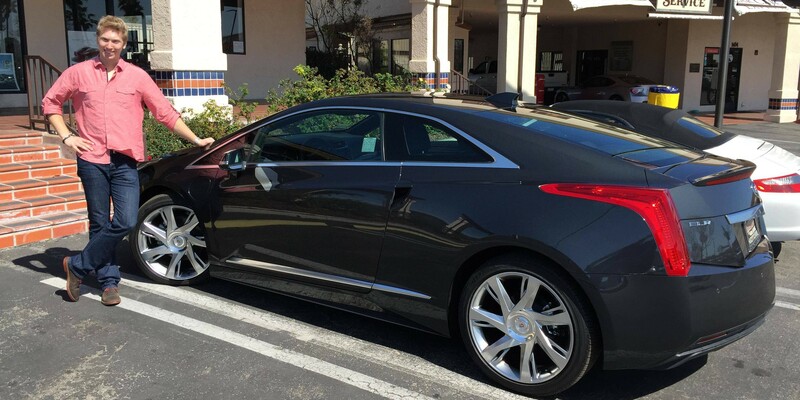 With the rebates GM was running, the fully loaded ELR I got was less expensive than a 60 with autopilot. Looking used, there were very few 60s available, probably because those people are thinking of keeping their cars longer, and the P85s were being replaced for P85+. Unfortunately, because used cars do not apply for the green rebates, I would have to find a Model S for 10 grand below a new one for it to be comparable in price. But when you are looking in this space, cost is less of a factor in buying the car, so I will address the logic other than cost. The test drive was amazing; it is clear why so many people love their Teslas. I drove the P85 and it was responsive, sure-footed, spacious, and full of tech. It felt to me like a software engineer took a swing at the automobile industry. They were able to shake a lot of conventions off, and do things entirely new. This has its ups and downs. For example a huge plus is the entirely flat floor, making the back middle seat more comfortable. On the other hand, they forgot cup holders. How does an American car company forget something as basic as that? They fixed it in the newer car (2014 at the time) but Tesla charged you for it. Also, things like the cool metal coating in the windshield that helped to reduce glare I learned blocks some toll tags from working. There is also the famous problem with the door handles not coming out when you walk up to the car. Lots of cool things, but there is merit to having over 100 years of automotive engineering. It felt like all the driving parts of the car were done right but on an 80k car there were things lacking. The seats (which I sat in both performance and standard) felt like they were poor quality. The steering wheel was beautiful, but didn’t feel great. The interesting key shaped like the car even felt like it was flimsy. The media system made up for this. It, and its accompanying readout display, were responsive, crisp, and beautiful. I don’t know why I need to surf the web when I am driving, but I can if I want. So what was the Tesla’s Achilles heel? It doesn’t have a gas engine. In my current lifestyle and location, the Tesla fits perfectly. I have a place to charge it reliably, and I have superchargers to get all over the US. The problem though is, as my only car, I did not want to get locked into another all-electric. While this electric was way better than my Ford and could handle 99.9% of my cases, the .1% had me concerned for buying a car that should last me 5-10 years. In my current job, I may have to move around the US or the world. I may end up having to live in an apartment with no charging, or in a city with no supercharger. That is where the ELR takes the cake, I get a luxury vehicle that can take advantage of the electricity I have now, but won’t hinder me if that is taken away. TL;DR Model S is a software engineers take on the car for better or worse, but mostly better. After being burned by having an all-electric as my only car and a variable life plan, the ELR with the gas engine provides more flexibility and peace of mind. SUMMARY The ELR is an amazing car, unfortunately released in the wrong order from its sibling: the volt, and priced uncomfortably close to the Tesla. This masterful, beautifully engineered machine has brought me much happiness. It is a great young-mans’ car for the eco-conscious, unfortunately it was priced a little to high for most buyers. Overall a fantastic job by Cadillac.